We’d love your help. Let us know what’s wrong with this preview of The Spirit Catches You and You Fall Down by Anne Fadiman. To ask other readers questions about The Spirit Catches You and You Fall Down, please sign up. what kind of spirit mentioned in the book? I'm working on epilepsy in ya lit for my thesis, and this book keeps coming up. I just have one quick question before i try to read through it...Does the author talk about how epilepsy is viewed in Hmong culture? That's what I really need to talk about in the chapter this will be discussed in. Thank you! Deborah King Absolutely, and you should definitely read it. If nothing else can be said about this book, it should be said that it will cause a reaction. Most books are a monologue. The author is telling you something and you listen. Anne Fadiman’s book is so engaging, and touches on so many sensitive subjects, that it’s more like a dialogue between author and reader. And I use the word dialogue literally. During the course of this book, I found myself audibly voicing my opinions at the page like a crazy person. My wife would ask me what I was saying, an If nothing else can be said about this book, it should be said that it will cause a reaction. Most books are a monologue. The author is telling you something and you listen. Anne Fadiman’s book is so engaging, and touches on so many sensitive subjects, that it’s more like a dialogue between author and reader. And I use the word dialogue literally. During the course of this book, I found myself audibly voicing my opinions at the page like a crazy person. My wife would ask me what I was saying, and I’d tell her “I’m not talking to you I’m talking to the book!” Sometimes I agreed with Fadiman. Sometimes I didn't. In any event, I was locked in, absorbed. The Spirit Catches You and You Fall Down is a sad, beautiful, complicated story that is ostensibly about a tragedy that arose from a clash of cultures, but is really about the tragedy of human beings. Lia Lee was three months old when she suffered her first epileptic seizure. Her parents, Nao Kao and Foua, were Hmong refugees from Laos who didn't speak any English. They took Lia to Merced Community Medical Center, a county hospital that just happened to boast a nationally-renowned team of pediatric doctors. None of those doctors spoke the Hmong language. From this initial collision – different languages, different religions, different ways of viewing the world – sprang a dendritic tree of problems that resulted in a medical and emotional catastrophe for Lia, her family, and her doctors. When Lia first came to the hospital, the language barrier – an inability to take a patient history – caused a misdiagnosis. The next time she arrived, however, she was actively seizing. Thus, her doctors were able to determine her malady and come up with a game plan on how to treat it. For a variety of reasons (both spiritual and practical), the Lees did not follow the treatment plan, and Lia didn't receive the specific care her doctors ordered. Eventually, one of her doctors filed a petition with the court to have Lia removed from the home and placed into a foster home. This allowed for a rough sort of compromise to be reached. Lia’s treatment plan was simplified and made more palatable to the Lee’s wishes. On the other hand, the Lees promised to follow the new plan as prescribed. For a time, Lia seemed to thrive. This détente looked good on the surface, but masked an unfixable wound to the relationship between the Lees and their daughter’s doctors. By the time the final seizure came for Lia Lee, her family actively distrusted the people working at the Merced Community Medical Center. Fadiman intercuts her narrative of Lia Lee’s care with sections on the history of the Hmong in general and the journey of the Lees in particular. The Hmong people are an ethnic group who once lived in southern China. The Chinese pushed many of the Hmong from their borders, and they ended up living in Burma, Vietnam, Thailand, and Laos. During the Vietnam War, the CIA secretly recruited the Hmong to fight against Communism. When America pulled out of Vietnam, a Communist government in Laos persecuted the Hmong, and many fled the country in fear of their lives. The Lees left northwest Laos, spent time in a Thai refugee camp, and eventually ended up in California, where Lia was born. When Lia was about three months old, her older sister Yer slammed the front door of the Lees’ apartment. A few moments later, Lia’s eyes rolled up, her arms jerked over her head, and she fainted. The Lees had little doubt what had happened. Despite the careful installation of Lia’s soul during the hu plig ceremony, the noise of the door had been so profoundly frightening that her soul had fled her body and become lost. They recognized the resulting symptoms as qaug dab peg, which means “the spirit catches you and you fall down”…On the one hand, it is acknowledged to be a serious and potentially dangerous condition…On the other hand, the Hmong consider quag dab peg to be an illness of some distinction. I read The Spirit Catches You and You Fall Down for my Husband’s Book Club (a shadow book club created after all our wives started one of their own). It came as a surprise pick from one of our quieter members, but proved to be one of our best choices. There are a lot of things to discuss. A veritable cornucopia of debate, dissention, and gentlemanly disagreement: Vietnam, CIA, Laos, and the debt owed the Hmong; refugee crises and how they are handled; the assimilation of refugees and immigrants; and even end of life decisions. We met to discuss this book at a local brew pub where we could drink IPAs and eat pretzels with cheese. Most of us got pretty drunk. Usually, six drunks sitting around a table can solve most of the world’s problems. In this case, though, we mostly ended up in total divergence. I think that’s a testament to Fadiman’s willingness to take on every third rail in modern American life: religion, race, and the limits of government intervention. (An aside: One of Fadiman’s chapters, called “The Life or the Soul,” posits the question of whether it is more important to save someone’s life (in which medical decisions trump all) or their soul (in which a person wouldn’t receive certain treatments that contradicted their deeply held beliefs). I’m not sure if it was the high alcohol content by volume in the beer, but the Husband’s Book Club somewhat surprisingly split 3-3 on the issue). Judging from other reviews I’ve read, this is a book that angered people. Much of the vitriol is aimed at the Hmong who are accused, among other things, of being welfare mooches (this book was published right before Clinton signed the Personal Responsibility and Work Opportunity Act, gutting welfare); of ingratitude for the millions of dollars of free medical care they received; of parental negligence; and for their refusal to assimilate into American society. If you read this book and only feel anger…Well, I’d never tell someone they’re reading a book wrong, but in this case, you’re clearly reading this book wrong. These are difficult, fraught topics that Fadiman handles with grace. There are no heroes and villains. There are only individuals doing the best they can with what they have, based on who they are. It should also be noted that Fadiman is a beautiful writer, and in terms of sheer journalistic enterprise, I’ve rarely stumbled across a better example of diligent, on-the-ground research. Fadiman isn’t out to piss people off. She does not structure her book to lay blame at anyone’s feet. Nevertheless, the central conflict of her story pits the Lees verses her doctors. Who was responsible for Lia’s fate? The parents who did not follow their doctors’ orders? Or the doctors, who never took the time to understand their patient, her family, and the context in which they lived their lives? On this question, Fadiman is admittedly biased. It is a gentle bias. She faults the doctors for a lack of cultural curiosity, yet admits that – in order to gain the Lees’ trust – she spent hundreds and hundreds of hours with them, speaking to them through a handpicked interpreter. The time she spent allowed her to see the Lees as fully formed people, not the seemingly-ignorant, oft-mute “other” that presented at the hospital. She recognizes that it’s hardly reasonable for any doctor to spend hundreds of hours with a single patient just to understand how they view the world. There are moments where I think that Fadiman is rather a bit too hard on some of her non-Hmong interview subjects. She gets intensely irritated with a waitress who says the Hmong are bad drivers. (I don’t know why this angered her. It’s perfectly rational to think that the Hmong, unable to understand American traffic signs, might be terrible behind the wheel. My dad and I once drove from Paris to Normandy. Neither of us speak French. We were honked at the entire time. Literally. The entire time. Don’t know why. To this day we don’t know why). Her sympathies lie with the Lees, and perhaps rightly so; yet she isn’t quite willing to extend the same empathy or generosity of viewpoint to others she comes across. I wonder if she’d have the same tolerance for a white anti-vaxxer who doesn’t have their kid inoculated for a deadly disease, or a Jehovah’s Witness who refuses consent for a child’s blood transfusion. I like to think of myself as generally broadminded, with a liberal and accepting heart. Like Jesus, with more wine. As a parent, though, I found myself periodically raging against the Lees. This is your kid! Give her the correct prescriptions! Just do it! At the same time, I recognize the need for doctors to better remember their patients are people. I’ve dealt with a chronic medical condition for the last couple years that has sent me on a semi-desperate search for a specialist who would listen to me. I’m a college-educated white male with health insurance who often wore a business suit to my appointments since I came straight from work. If I couldn’t get a doctor to give me five minutes of uninterrupted time, I can only imagine the experience of an indigent, non-English speaking patient who walks into the hospital with a life experience 180-degrees different from his or her physician. One of the book’s final chapters, “The Eight Questions,” provides a nice roadmap for doctors. The titular questions, devised by a Harvard Medical School professor, are a deceptively simple, brilliant way of allowing the doctor and patient to share roughly-equal footing in the patient’s treatment. It shouldn’t be a binary question of the life or the soul, with the doctor standing in for God. When I love a book, I talk to people about it. In doing so, I found that it’s on a lot of different curriculums. One of my friends read it for an undergrad ethics course. Another of my buddies, we’ll call him Dr. B, had it assigned while he was in medical school. ME: Did you read it? It’s really good. DR. B: Because I was studying medicine. His answer is what I expected, and why I hope this book continues to get read. (Final aside: The Spirit Catches You and You Fall Down was researched in the 80s and published in the 90s, meaning that the Hmong experience in America has changed. I recommend getting the Fifteenth Anniversary Edition with a new Afterword by Fadiman. The Afterword provides a nice little update, as well as the cathartic tying of some loose ends). I knew a little about this case, and before I read the book, I was certain I’d feel infuriated with the Hmong family and feel nothing but disrespect for them, and would side with the American side, even though I have my issues with the western medical establishment as well. Not that I didn’t feel angry (and amused) at times with both sides, but I also ended up empathizing with the people in both sides of this culture clash, which is a testament to Anne Fadiman’s account of the events. My culture I knew a little about this case, and before I read the book, I was certain I’d feel infuriated with the Hmong family and feel nothing but disrespect for them, and would side with the American side, even though I have my issues with the western medical establishment as well. Not that I didn’t feel angry (and amused) at times with both sides, but I also ended up empathizing with the people in both sides of this culture clash, which is a testament to Anne Fadiman’s account of the events. My culture is definitely that of an American (well, a subculture anyway, as there are obviously many cultures within America!) and I am fairly wedded to it, but I really appreciated this look into a culture so different from my own. Anne Fadiman does a remarkable job of communicating both sides of this story; it’s probably one of the best examples of cross-cultural understanding that I’ve ever read. It’s ostensibly about a young Hmong girl with epilepsy and her family’s conflict with the American medical establishment, and there is much about them here. But it’s also a wonderful history book. There’s much background about the Hmong people going back centuries and recent history also. It also made me sympathize with the difficulties of the immigrant experience, especially for those who settle in a place so different from their homeland. I learned so much about the Hmong people; I knew very little before reading this book, and what I knew contained some inaccuracies or at least a lack of context. And, as I was reading, I was really struck by how cultural differences (and the cultural differences between the Hmong and American cultures is about as far apart as it gets) can completely hinder communication if they’re not acknowledged and attempts are made to bridge the gap. This is a great book to read if you want to try to understand any people who are different from you in any way. Beautifully written and an enjoyable read. This is the heartbreaking story of Lia, a Hmong girl with epilepsy in Merced. It is intended to be an ethnography, describing two different cultural approaches to Lia's sickness: her Hmong parents' and her American doctors'. I have wavered between four and five stars for this on This is the heartbreaking story of Lia, a Hmong girl with epilepsy in Merced. It is intended to be an ethnography, describing two different cultural approaches to Lia's sickness: her Hmong parents' and her American doctors'. I have wavered between four and five stars for this one. The book is so beautifully and compassionately written - you feel for absolutely everyone in the story. Like Lia's doctors, you can't help but feel frustrated with Lia's noncompliant, difficult, and stubborn parents. At the same time, given their history, you can fully appreciate her parents' dislike of hospital procedures and distrust of distant, superior American doctors. There are no heroes or villains here. The book is perfectly balanced. When Lia ends up brain dead, your heart just hurts for everyone involved. There are a couple of reasons I finally settled on four stars: (1) While the historical background provided in the book is excellent, it drags the story down. I felt it could have been better incorporated into an otherwise almost flawless narrative. (2) I found myself questioning the basic premise of the book. I'm not sure that cultural misunderstandings caused Lia's eventual "death" (brain-death, that is). Lia's epilepsy, by all accounts, was unusally severe and unresponsive to medication. So I was never convinced that a white, middle-class American girl would have survived with her mind in tact, either. This is not to dismiss the very real cultural struggle that this book describes, but some of the author's statements about how cultural misunderstandings "killed" Lia seemed a bit speculative to me. A book like this one should be required reading for anyone who lives in a community of multicultural members, and nowadays that's probably just about everyone. Sadly, and not surprisingly, those who would probably most benefit from a book like this would probably be the ones least likely to read it. It's an eye-opener on cross-cultural issues, especially those in the medical field, but also in the religious, as the Hmong don't distinguish between the two. In understandable and compelling language A book like this one should be required reading for anyone who lives in a community of multicultural members, and nowadays that's probably just about everyone. Sadly, and not surprisingly, those who would probably most benefit from a book like this would probably be the ones least likely to read it. It's an eye-opener on cross-cultural issues, especially those in the medical field, but also in the religious, as the Hmong don't distinguish between the two. In understandable and compelling language, it also explains the background of the Hmong (historically, a migrating people without a country) and their CIA-recruited role in the American War in landlocked Laos, a place they didn't want to leave but were forced out of, and how so many of them ended up in Merced, CA. This is one of the best books I've read. I guess it would be considered part of the medical anthropology genre, but it's so compelling that it sheds that very dry, nerdly-sounding label. This was recommended to me in a cultural literacy course and it certainly delivered. The story is of the treatment of the epileptic child of a Hmong immigrant family in the American health system. The issue is the clash of cultures and the confusing and heartbreaking results. And the takeaway lesson is in how to This is one of the best books I've read. I guess it would be considered part of the medical anthropology genre, but it's so compelling that it sheds that very dry, nerdly-sounding label. This was recommended to me in a cultural literacy course and it certainly delivered. In Hmong culture they revere their children so much, it is wonderful. This little girl was her parent's favorite and they believed her epilepsy was a special gift that made her more in tune with the spirit world. Many of the spirit healers in Hmong society have epilepsy. More largely, this is the story of a clash between western and eastern cultures, a communication lapse that ultimately ended up hurting the parents of this little girl very profoundly. The Spirit Catches You And You Fall Down may read like a documentary (thanks to Fadiman’s journalistic background), but it is really an introspection on the western system of medicine and science. We cannot ourselves metaphorically stand back and try to look at the system from the outside. However, comparing it to another (supposedly antithetical) system through the experiences of the Hmong refugees can be used as a tool to do just that. The Hmong’s presumed non-separation of any of the dimensio The Spirit Catches You And You Fall Down may read like a documentary (thanks to Fadiman’s journalistic background), but it is really an introspection on the western system of medicine and science. We cannot ourselves metaphorically stand back and try to look at the system from the outside. However, comparing it to another (supposedly antithetical) system through the experiences of the Hmong refugees can be used as a tool to do just that. The Hmong’s presumed non-separation of any of the dimensions of life (least of all the physical) is a good contrast to the western notion of categorization and separation of the physical, emotional, spiritual and mental. This categorization is a manifestation of the desire for control – labeling and naming are just the initial objectives of this desire. In contrast, the Hmong view control quite differently. Given such vast differences on such fundamental aspects, one wonders if the result could have turned out another way at all. Categorization and classification is the ‘bread-and-butter’ of science. It is supposed to be ‘rational’ and evidence-based. Western medicine seems to not only classify problems into different aspects of the overall human – physical, mental, emotional and spiritual, it tends to also over-categorize – different physicians for different organs or diseases, specialization etc. On the other hand, according to Fadiman, the Hmong don’t even bother with the separation of these different aspects; they do not even have a concept of ‘organs’ making up a human body. There is definitely no separation between the physical and the spiritual. Fadiman’s observation of the Hmong obsession with American medicine and the behavior and attitudes of American doctors delineates this point clearly. This lack of categorization also goes beyond the individual and is reflected by a relatively classless structure of Hmong society: Fadiman points out that the Hmong do not separate themselves by class, and live by a more egalitarian standard. The need to classify and categorize stems from a desire to control. By classifying organisms into different species, genus or families, we try to exert control over nature. By categorizing people according to gender, class and race we try to assign people different roles and duties, further illustrating society’s desire to control individual lives - to maintain ‘order’. This desire is more so present in medicine, where we explicitly try to control disease, pain, suffering and eventually life (or death). Since the Hmong concepts of separation are close to non-existent, their view is that of ‘letting go’. Fadiman observes how holistic their approach is compared to the approach of the American physicians by showing that even though the Lees cared a great deal for Lia (and loved her unconditionally), they still tried to persuade the spirit to let go of Lia’s soul so it would come back to her. The American doctors, however, got progressively invasive trying, in vain, to assert more control over the situation by intubating, restraining and over-prescribing. There are so many valuable aspects to this book it's hard to decide what to mention. Having just learned that Lia, the subject of the book, passed away within the last week I'd like to express sheer admiration to her family, and especially her parents, for loving and caring for her for so many years. Along with a large influx of Hmong, Lia lived in Merced, CA when she experienced her first seizures. The Hmong and their language and their culture were yet virtually unknown and entirely misunderst There are so many valuable aspects to this book it's hard to decide what to mention. Having just learned that Lia, the subject of the book, passed away within the last week I'd like to express sheer admiration to her family, and especially her parents, for loving and caring for her for so many years. Along with a large influx of Hmong, Lia lived in Merced, CA when she experienced her first seizures. The Hmong and their language and their culture were yet virtually unknown and entirely misunderstood in America at this time while Mia and her family knew only their own culture and language. What ensues is a series of missteps, mistakes, and, again misunderstandings. This is an eye-opening account of multiculturalism, social services, and the medical community. There were and are no easy answers, but there always are lessons to be learned, and a lot can be learned from this book. Anne Fadiman addresses a number of difficult topics in her depiction of a Hmong couple's quest to restore the soul to their child. While I consider myself a culturally sensitive individual, having been raised in a family of doctors and nurses, I have long held the conviction that the world's best doctors (whether imported or native) tread on American soil. Reading Fadiman's account (which sometimes includes actual excerpts from the patient's charts), I was forced to take a hard look at my assump Anne Fadiman addresses a number of difficult topics in her depiction of a Hmong couple's quest to restore the soul to their child. While I consider myself a culturally sensitive individual, having been raised in a family of doctors and nurses, I have long held the conviction that the world's best doctors (whether imported or native) tread on American soil. Reading Fadiman's account (which sometimes includes actual excerpts from the patient's charts), I was forced to take a hard look at my assumptions. In the course of reading this book, I have redefined my idea of what constitutes a good doctor. Fadiman spent hundreds of hours interviewing doctors, social workers, members of the Hmong community--anyone who was somehow involved in Lia Lee's medical nightmare. She pored over years of medical records, trying to make sense of the events that caused a spirited, loving toddler to slowly devolve into a vegetative state. What she found was that the doctors' orders, prescribed medications, hospital care, etc., were all based on a number of Western assumptions that did not take the family's (and child's) best interests into consideration. No attempt was made to understand how the family saw the disease or what efforts they were making on their own to address the situation. More than a translator, what doctors and other professionals involved in Lia's case needed was a "cultural broker" who could have stepped in and possibly saved Lia's brain from further deterioration. Fadiman's book is a difficult read, not because of specialized vocabulary or lofty philosophical concepts, but because there comes a point when the reader realizes that the barriers faced by those involved were much more cultural than they were linguistic. In a very real way, the Lees inhabited a different world than the doctors, and vice-versa. Each assumed that their way was best, and neither made a genuine effort to understand the other's motivations, much less their logic. In the end, there was no simple solution to their plight, but more mutual respect and understanding of the differences between the cultures would have benefitted everyone involved. Educational warning: This book will teach you something important about non-compliant patients. The title of The Spirit Catches You and You Fall Down is the literal translation of the Hmong words for epilepsy. All doctors know about epilepsy; virtually none know about the Hmong people. They are an ethnic group who lived in China for hundreds of years. The Hmong have often been thought of as "outsiders." Over the centuries they have resisted taming by various domineering governments and oppressors. Educational warning: This book will teach you something important about non-compliant patients. The Hmong have often been thought of as "outsiders." Over the centuries they have resisted taming by various domineering governments and oppressors. When things get tough the Hmong often move on. In recent times their main homeland has been in Laos. During the Vietnam war and its aftermath things got particularly difficult for the Hmong, and many ended up in the United States. Some came as a reward for having fought on behalf of the Americans as part of the little known Laotian Armée Clandestine. The Lee family, the subject of this account by the journalist Anne Fadiman, left their home in Laos and now live in Merced County, California. They spent some time in two Thai refugee camps before they came to the US. The Lee’s 14th child, Lia, was the first to be born in the US. When she was about 3 months old Lia had her first epileptic fit. Her mother and father, Foua and Nao Kao, immediately made the correct diagnosis. And they knew the cause of the problem: Lia’s soul had fled her body and become lost. As loving parents they were, of course, concerned about the loss of their daughter’s soul. The epilepsy was less of a problem for them, because epileptic people have a special place in their society, and many Hmong people with epilepsy go on to becomes healers and shamans. I first read this book about 10 years ago. Since then it has frequently impinged on my consciousness in my working life as a GP. Although it is a tale about an unknown family from a faraway place, it exemplifies all the things that make for a great medical classic. In such a work I look for durability, excellent writing, and some messages that will outlast fashion. If I’m lucky I will also find humour, exceptional humanity and insight, and a gripping narrative. Ten years after my first reading it is just as exciting as when I first picked it up. The writing is economical and correct—not too many adjectives, but superb descriptions of people and events. The sentiments are deeply human, the storyline is compelling, and the book has helped me understand some of my most puzzling patients. No medical student should be allowed to graduate without reading this book. Doctors who are infuriated by their patients’ lack of "compliance" should read it without delay. i read this book for a class i am taking called "human behavior and the social environment." it tells the story of a Hmong family in california with a little girl who has epilepsy. their experience as refugees who are illiterate and unable to speak english, traversing the american medical system ends up tragic. however, the author is really good at giving voice to both sides, the western doctors (impatient, overworked, stubborn, judgmental, dedicated) and the Hmong family (impatient, overworked, i read this book for a class i am taking called "human behavior and the social environment." it tells the story of a Hmong family in california with a little girl who has epilepsy. their experience as refugees who are illiterate and unable to speak english, traversing the american medical system ends up tragic. however, the author is really good at giving voice to both sides, the western doctors (impatient, overworked, stubborn, judgmental, dedicated) and the Hmong family (impatient, overworked, stubborn, judgmental, loving). at their wit's end the doctors have the little girl removed from the home and placed into foster care. the foster family not only falls in love with lia (the epileptic toddler) but they fall in love with the family. perhaps, the first and only time in history the foster mother even allows the so-called abusive mother baby-sit her OWN children while she takes lia to one of her appointments. through a series of events lia ends up in a vegetative state (and at that point her epilepsy in her brain dead state is actually cured), and she is returned home to die. but she doesn't. the Hmong family keeps her alive with their love and care, something the doctors had never witnessed. on their own terms, they continue to feed her, bathe her, and watch over her literally 24 hours a day (she sleeps in the bed with the mother every night). she continues to grow with rosy skin and healthy hair, and the Hmong family continues to believe that the western doctors and their medicine actually made her seizures and illness worse. anyone going into the medical/social work/psychology field should read this book. I didn't know anything about Hmong culture and now I do. This book also taught me about the American medical system - it looks strange when you step back. It would have been a good book for me to read when I was in Japan, too, because it kind of opened me up to the idea that people of other cultures can really be sooo different. It's not stupidity, it's not lack of common sense, whatever. It's the fact that there are so many different cultures in this world, and growing up in any one of them makes just about everything about you so totally different from those in other societies. And is there any way to bridge those gaps completely? I don't think so. There's probably a way to improve cross-cultural relations though. Especially in a place like the US. This book brings up those questions and doesn't pose solutions but does give ideas at least to open up your mind and eyes to it all. And it gives facts about how things have been (poorly) dealt with, and the problems that causes. The case study Fadiman explores is a perfect example that you can kind of project onto other situations. And the story itself is really interesting. Fadiman tells the story rather skillfully - (but?) you can tell she is a journalist, for better or worse, here. Fadiman wrote a fascinating and sympathetic story about a culture that couldn't be much farther removed from ours in the West. It was especially interesting reading it right after Hitchen's God Is Not Great, because, theoretically, had there been no religion involved there wouldn't have been a real culture clash, and Lia could have grown up as an epileptic but functioning girl. Maybe. But that's not really the point of Fadiman's book: she doesn't condemn anyone, and, in fact, she points out that Fadiman wrote a fascinating and sympathetic story about a culture that couldn't be much farther removed from ours in the West. It was especially interesting reading it right after Hitchen's God Is Not Great, because, theoretically, had there been no religion involved there wouldn't have been a real culture clash, and Lia could have grown up as an epileptic but functioning girl. Maybe. But that's not really the point of Fadiman's book: she doesn't condemn anyone, and, in fact, she points out that there isn't anyone person or group who can be blamed for what happened to Lia. The point of the book is to take a look at the differences in cultures that exist in our country today, and maybe realize that there are better ways of dealing with the issues that arise. The look at the Hmong culture and history the book provides is fascinating and enlightening. The different levels of engagement the Lee family had with various westerners was particularly telling, and explained a lot about the wildly varying opinions people had formed. What’s preferable from a doctor’s point of view – a lower standard of care with a higher probability of compliance from the family, or a higher standard of care with a lower probability of compliance from the family? When a child is involved, who's the boss -- the doctor, or the parents? Why are we Americans so intolerant of those who do not wish to assimilate into our culture? And do we owe them the same rights/privileges as those who adopt American culture? How could the Lees be perceived so radically differently by the doctors and nurses who worked with them vs. the more sympathetic social worker and journalist? If the doctor's goal is to save the body and the family's goal is to save the immortal soul, who should win that conflict? This book was amazing, on so many levels. The writing was excellent, and so was the organization. I find that non-fiction books often err on the side of being either informative but too dry, or engaging but also too sensationalist/one-sided. This book was neither. The story was gripping, and so was the background (and Fadiman did a great job of interspersing the two so as to build tension, and so that neither aspect of the book ever got boring). Fadiman has clearly done her research, and I felt like I learned a great deal from the book but never felt like I was reading a textbook. Best of all, this is one of the rare books I've read that felt truly balanced and three-dimensional. Fadiman was sympathetic to the Hmong and their viewpoint without romaticizing or idealizing them. She described some unfair racist reactions to the Hmong, but she also acknowledged the valid resentment felt by people whose taxes were supporting their welfare-receiving huge families. Fadiman also portrayed the doctors as motivated overall by good intentions. She acknowledged factors such as cultural blindness and the arrogance of the profession, but did not imply that the doctors were coldhearted, insensitive automatons -- quite the contrary. The first, spontaneous reaction with regard to the stranger is to imagine him as inferior, as he is different from us. Lia Lee's parents immigrated to this country in the early 1980s from Laos. They were of the Hmong culture, a people who inhabited mountaintops and all they wanted was to be left alone. During the war they sided with the Americans. Their men joined the military some even becoming pilots. When the war was lost, they had to leave their country or die. They were promised a place in The first, spontaneous reaction with regard to the stranger is to imagine him as inferior, as he is different from us. Lia Lee's parents immigrated to this country in the early 1980s from Laos. They were of the Hmong culture, a people who inhabited mountaintops and all they wanted was to be left alone. During the war they sided with the Americans. Their men joined the military some even becoming pilots. When the war was lost, they had to leave their country or die. They were promised a place in the US and eventually thousands immigrated to the US and other countries. 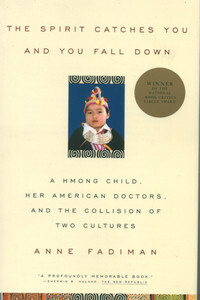 The cultures were so extremely different as the title suggests, A Hmong child, Her American Doctors and a collision of cultures. And this is Lia's story about epilepsy and the wrong treatment. In graduate school (comparative religion), I took a class called ritual, illness, and the body. This book came out just a few years later. Though we studied other fascinating examples of medical anthropology looking at Western, especially American, practices, it would have been wonderful to be able to use this text. Though doctors today more often take courses in cross-cultural awareness in med school, it's still just a small portion of their training, if they get it all. This book is highly rel In graduate school (comparative religion), I took a class called ritual, illness, and the body. This book came out just a few years later. Though we studied other fascinating examples of medical anthropology looking at Western, especially American, practices, it would have been wonderful to be able to use this text. Though doctors today more often take courses in cross-cultural awareness in med school, it's still just a small portion of their training, if they get it all. This book is highly relevant a couple of decades after publication, not just to the medical community but to all of us. We all need to make further strides in understanding the Other, whether living in the dominant culture or not--Fadiman explicates the assumptions of the medical community as well as she strives (I'm sure her understanding only begins to approach the worldview of the Hmong, no matter how hard she tried) to get at traditional societies. Beyond the tragic misunderstanding that resulted in the irreversible brain death of a beautiful Hmong child, there is a lot to contemplate here. I thought a lot about the Amish, for instance, who have been allowed to live as they please and believe. Yet, the Hmong asked for no more--some land of their own and the ability to go on living as they too believe. They fought bravely for us in Laos and were made refugees because the overspill of our policies in Indochina. They had no interest in assimilating to American culture. They did not come here because of American opportunities, but because they had nowhere else to go as a result of our policies. The only opportunity they found attractive about America was a thing they had heard about: Freedom. But they did not find it here... to them it would mean a freedom to pursue their shamanic, agricultural, mountain lifestyle with its animistic beliefs and animal sacrifice. And if the Amish can do as they please, including being granted the ability to be conscientious objectors in wars, why shouldn't these fighters get they land they ask for and the freedom to follow their religion and lifestyleIt's just a question. Why indeed, do we require that ALL refugees merge into American society? Why can't it be case by case? Some, like many Southern and Central Americans, come here seeking relief from the oppression of their own societies and the alternatives and opportunities presented by America, just as the ancestors of Euro-Americans did. Others come as a result of American policies abroad. It seems we ought to allow for these distinctions. Fadiman does not directly raise this point. It's only implied. Meanwhile, there are a lot of other direct points about how working with shamans and other native beliefs and family systems can help families agree to, say, use Western medicine AS WELL. And perhaps help doctors, too, be less dismissive of indigenous ways of seeing things. The doctors in this California community tended to dismiss the Hmong, inventive guerillas capable of holding off large invasive forces, as stupid and primitive. Nor did they have any idea of their traumatic pasts. Or how difficult it had been to translate a highly adaptive skill set in their old land to things like apartment buildings and suburban lifestyles. Canned food. It wasn't that they were too stupid to figure it out, but that they were skeptical of the value, and not too different, in some ways, from large groups of Americans who are increasingly reluctant to accept conventional Western medicine at face value. The 150,000 Hmong refugees who came to the United States in the late 1970s arrived in a country and culture that could not have been more foreign to them. The Lee family had escaped their native village in the hills of Laos and settled in Merced California. In July 1982 Foua Yang gave birth to her fourteenth child; Foua and her husband Nao Kao Lee would name the little girl Lia. She was a loved child, tenderly cared for and pampered as the “baby” of the family. When she was about three months old, however, Lia had a seizure. Her parents believed this was caused when her older sister had slammed the front door of their apartment, drawing the attention of a spirit who had caught Lia’s soul. The Hmong call this condition quag dab peg and consider it something of an honor to have these spirits possessing the child; such a person might even grow up to become a shaman. Still, the frequency and severity of the seizures worried Foua and Nao Kao enough that they took Lia to the Merced County Medical Center Emergency Room. There the lack of a common language or trained interpreters, and the clash of cultures led to disastrous results. This is a fascinating medical mystery, and a balanced exploration of two very different points of view. No one acted with malice, everyone wanted what was best for Lia, but there was no way for the two opposing sides – Lia’s parents and community vs the doctors and social workers – could come to agreement. And the person who suffered was Lia. I thought the book could have used more editing. Perhaps Fadiman believed that the reader needed considerable repetition to get the message (and she may be right about that), but I really didn’t’ need to be told – again – that the Lees believed a spirit was the cause of Lia’s problems, or that they believe the medicine made her worse, or that the doctors thought the Lees were difficult or poor parents. Still, I was really caught up in the story, and appreciated learning more about the Hmong culture. I’m looking forward to my F2F book club’s discussion on this book. Amazing book. In my work with people with developmental disabilities and epilepsy, I've seen a lot of examples of the disconnect between doctor and patient -- and that's even when both speak a common language and have a common cultural understanding of their roles. This book tells the story of an extreme example, in which the patient's parents neither understood the doctors nor trusted them, and the medical system held a reciprocal inability to understand where the family was coming from. In tel Amazing book. In my work with people with developmental disabilities and epilepsy, I've seen a lot of examples of the disconnect between doctor and patient -- and that's even when both speak a common language and have a common cultural understanding of their roles. This book tells the story of an extreme example, in which the patient's parents neither understood the doctors nor trusted them, and the medical system held a reciprocal inability to understand where the family was coming from. In telling this one story, the author also goes into the history and culture of the Hmong people both in Laos and the US. It is both riveting and devastating. Is it terrible that I found myself sympathizing with the doctors and that the family was getting in the way of treating their childs illness? In 1981, after relocating to Merced, California, Lia Lee was born to a Hmong refugee family, from Laos.. She quickly developed severe epilepsy. By 1988, she was living at home, brain-dead. The events that led up to this tragedy: the misunderstandings, the culture clashes and flawed decisions, are the backbone of this story. Of course, the book goes much deeper, as Fadiman becomes involved with this family, exploring all angles for some answers. This is a demanding and an emotional read, but the narrative flows with strength and confidence. It is a real eye-opener and a must read, especially for all medical students. A little Hmong girl slammed the front door once and her three month old sister had what the medical community call an epileptic seizure. The Hmong family referred to it as quag dab peg which translates to "the spirit catches you and you fall down". It was the beginning of a long series of similar seizures, and the beginning of a long series of difficulties between the Hmong and American cultures. Lia Lee and her family were refugees living in Merced, CA when the spirit first caught Lia in this wa A little Hmong girl slammed the front door once and her three month old sister had what the medical community call an epileptic seizure. The Hmong family referred to it as quag dab peg which translates to "the spirit catches you and you fall down". It was the beginning of a long series of similar seizures, and the beginning of a long series of difficulties between the Hmong and American cultures. Lia Lee and her family were refugees living in Merced, CA when the spirit first caught Lia in this way. Lia quickly became well known at the medical center where she was taken each time she was sick; but the medical community is hugely different from the Hmong culture with a different set of beliefs and rules and expectations. The medical center physicians wanted to treat Lia with medication from the get-go - but the language barrier made that difficult, not to mention the medications went against the Lee's entire belief system. On the Lee side they met the doctors with distrust and suspicion; on the physician side they met the Lees with often disgust and accusations of non-compliance. This was an incredibly hard book for me to read. I work in a medical environment and certainly see the positive effects of medication and surgery. But I can understand the other side of this story too - a family that doesn't speak English, watching things being put in their daughter with very little interpretation, being told if they don't do x then y would happen, being told everything they have practiced for years (that appear to most Americans as just being naively superstitious); I can't imagine the fear the family must have felt. Every culture feels they know best, that their practices are the most appropriate, that everything else is sub-par. Having now finished the book, I know Lia's fate. You must read the book to find out. No spoilers here! It is important to note that this book should be read by those not only interested in anthropology and how medical practices could/should be improved, but also those wanting to learn more about the Silent War in Laos. So many have been written about the war in Vietnam and so few about that in Laos. How do you teach doctors to feel empathy and love for their patients? Physical contact is one quick Having now finished the book, I know Lia's fate. You must read the book to find out. No spoilers here! How do you teach doctors to feel empathy and love for their patients? Physical contact is one quick trick. And how many doctors look you in the eye? We all know when a doctor is really communicating with us honestly. One doctor said she simply could not follow all the "cultural rules" that were necessary when communicating with the Hmongs....but they did feel her sincerity. She explained that the Hmong patients knew she was American and thus would be lenient. Body language says a lot. If we care, really care, that message gets across most cultural divides. Empathy has a therapeutic effect. But it sure helps if we make sure doctors don't have 33 hour shifts and access to interpreters. Through page 148: This is VERY hard for me to read...... To clarify: I am scared to death when I enter a hospital. Everything always goes wrong. My own fears/experiences clearly augment my empathy for Lia. Nevertheless, this is a book that needs to be read by everyone. I HAD to take a breather from the book, to write this. I felt physically ill. Writing gives me some distance. On an intellectual level, reading this after The Sacred Willow: Four Generations in the Life of a Vietnamese Family is just perfect. The themes intersect. I first read this book about three years ago and recently re-read it. I am a socal worker and educator but I have been giving copies of this book to everyone I know because it is relevant to anyone who has any interactions with people of different cultures. It reads like a novel and is a page-turner. It is also loaded with information and written in a literary and beautiful style. The book focuses on the clash between Hmong culture and traditional western medicine. The story is of one little girl I first read this book about three years ago and recently re-read it. I am a socal worker and educator but I have been giving copies of this book to everyone I know because it is relevant to anyone who has any interactions with people of different cultures. It reads like a novel and is a page-turner. It is also loaded with information and written in a literary and beautiful style. The book focuses on the clash between Hmong culture and traditional western medicine. The story is of one little girl with a seizure disorder whose family seeks help from California doctors. The Hmong have a complicated and almost mythological belief system based on centuries of narrative. Their views on health and healing are complex and many of these beliefs are not easily translated into the English language. English may have no word that does justice to the Hmong concept. How the family belief system and their desire to help their daughter results in a terrible clash with the medical doctors in the U.S. is examined by Ms. Fadiman in an exacting and compassionate way. She shows empathy for the Hmong family and the physicians who are trying to treat a girl with a life-threatening illness. The doctors feel like the family is non-compliant and the family feels that they much adhere to their spiritual belief system and treat their daughter in a way much differently than recommended by her physicians. I can't imagine anyone not loving this book, not being able to relate to some experience where they felt that their belief system was not understood by another for any reason. I highly recommend it for a wonderful read and to enhance one's knowledge of the difficulty of trying to truly understand another's cultural beliefs. Christ, what a ride. I thought this book would be dry and unreadable. I had to read this for my Cultures & Madness class and write a book report (that I still haven't done). While there are times that it can be dense, it is very well written. Ms. Fadiman writes about the Hmong with incredible gravitas and emotionality. I don't know how she did it but, by the time I finished the book I was all teary. Sure, it could be that I haven't slept in days (finals) but I think it's because of how the s Christ, what a ride. I thought this book would be dry and unreadable. I had to read this for my Cultures & Madness class and write a book report (that I still haven't done). While there are times that it can be dense, it is very well written. Ms. Fadiman writes about the Hmong with incredible gravitas and emotionality. I don't know how she did it but, by the time I finished the book I was all teary. Sure, it could be that I haven't slept in days (finals) but I think it's because of how the story of this little Hmong girl touched me so deeply that it broke my heart to finish this book. It changed the way I see parenting, it changed the way I see the American medical system, it changed the way I see the Hmong whom I knew about thanks to Grey's Anatomy. This book is not a happy book. It's actually sad, heartbreaking, morally complicated but manages to be uplifting at the same time. Again, I don't know how Ms. Fadiman does it. This book teaches us to be human and to keep empathy in the front of our minds and hearts whenever we encounter someone of a different culture. It's so easy to judge. It's so easy to hate. Empathy, kindness... those are the some of the tools that can change the world or at the very least, make it a little less worse. This review has been hidden because it contains spoilers. To view it, click here. My dad told me to read this book 2 years ago but I never mange to read it. I happened to read it exactly a week after my cousin died with epilepsy. The main character in the book, Lia, also have several epilepsy which lead her to vegetable stage. Both Lai and my cousin was born on the same year too. Who Hmongs are though they live next to my country. The author beautifully wrote between the medical perspective and culture perspective. For Neil and Peggy, Lia w My dad told me to read this book 2 years ago but I never mange to read it. The author beautifully wrote between the medical perspective and culture perspective. For Neil and Peggy, Lia was not the only patient that they need to take care. However, they tried their best for Lia. For Nao and Foua, Lia was the special one among their 16 children. The author wrote the real struggle about being an immigrants. During my time in US, my first year was a struggle. I could not adapt the environment easily. I want to eat rice for all meals. I can imagine the struggle of immigrants who could not speak a word of English. For doctors, they tried to save the life first instead of the souls. That was one of the reason where they failed to understand the culture. It's just that anytime I see a footnote that isn't there for the purpose of comedy most of the joy leaks out of my reading experience. 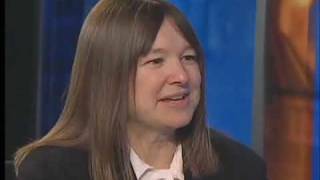 Anne Fadiman, the daughter of Annalee Whitmore Jacoby Fadiman, a screenwriter and foreign correspondent, and Clifton Fadiman, an essayist and critic, was born in New York City in 1953. She graduated in 1975 from Harvard College, where she began her writing career as the undergraduate columnist at Harvard Magazine. For many years, she was a writer and columnist for Life, and later an Editor-at-Larg Anne Fadiman, the daughter of Annalee Whitmore Jacoby Fadiman, a screenwriter and foreign correspondent, and Clifton Fadiman, an essayist and critic, was born in New York City in 1953. She graduated in 1975 from Harvard College, where she began her writing career as the undergraduate columnist at Harvard Magazine. For many years, she was a writer and columnist for Life, and later an Editor-at-Large at Civilization. She has won National Magazine Awards for both Reporting (1987) and Essays (2003), as well as a National Book Critics Circle Award for The Spirit Catches You and You Fall Down. Ex Libris: Confessions of a Common Reader, a collection of first-person essays on books and reading, was published by Farrar, Straus and Giroux in 1998. 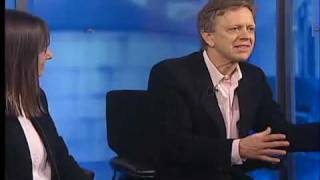 Fadiman was the editor of the intellectual and cultural quarterly The American Scholar from 1997 to 2004. She now holds the Francis chair in nonfiction writing at Yale. Fadiman lives in western Massachusetts with her husband, the writer George Howe Colt, and their two children.